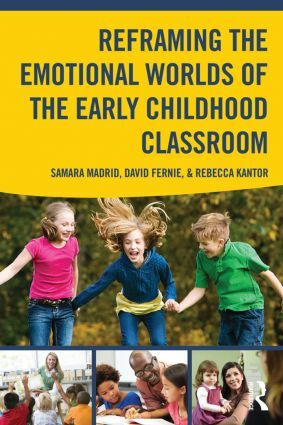 This volume examines the emotional world of the early childhood classroom as it affects young children (whose emotional wellbeing is crucial to successful learning), educators (for whom teaching is never a solely cognitive act), parents, and administrators. In a culture where issues such as bullying and teacher burnout comprise major challenges to student success, this book brings together diverse voices (researchers, practitioners, children, and parents) and multiple perspectives (theoretical and personal) to refocus attention on the pivotal role of emotion in schools. To do so, editors Samara Madrid, David Fernie, and Rebecca Kantor envision emotion as a dynamic, fluid, and negotiated construct, performed and produced in the daily lives of children and adults alike. A nuanced yet cohesive analysis, Reframing the Emotional Worlds of the Early Childhood Classroom thus presents a challenge to the overriding concern with quantifiable classroom achievement that increasingly threatens to push the emotional lives of classroom participants to the margins of educational and public discourse. Samara Madrid is an Associate Professor in the Department of Elementary and Early Education at the University of Wyoming. David Fernie is Professor of Early Childhood Education and former Dean of Education at Wheelock College. Rebecca Kantor is Dean of the School of Education and Human Development at Colorado University, Denver.